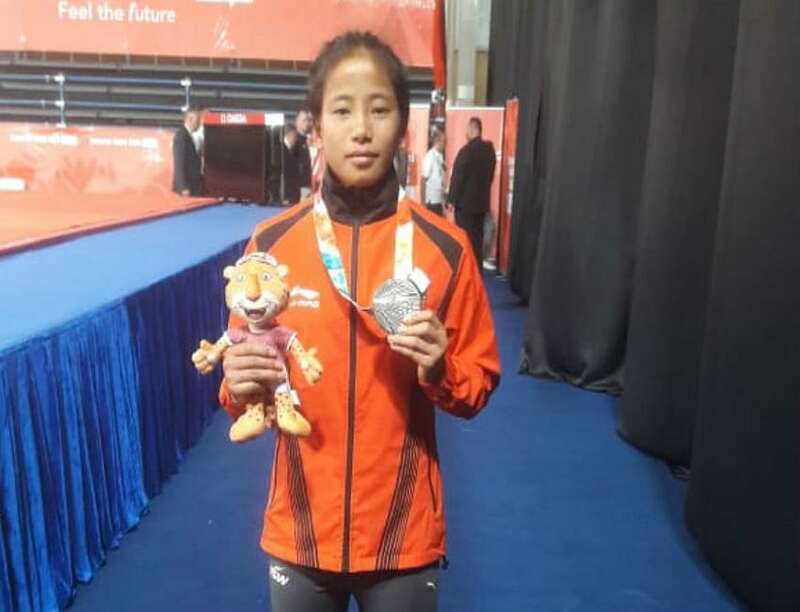 Thangjam Tababi Devi (16) became India's first Judo medallist at the Olympic level. She achieved this feat after winning silver medal at the ongoing Youth Olympics Games in Buenos Aires, capital of Argentina. She won the medal after losing to Venezuela's Maria Giminez in the finals of the women's 44kg category. Prior to this, India had never won an Olympic medal in Judo either at senior or youth level. At the ongoing games shooter Tushar Mane had also won silver medal (second position) in men's 10m air rifle competition. Tababi Devi hails from northeastern state of Manipur. It is an international multi-sport event organized by International Olympic Committee (IOC). The age limitation of the athletes participating in it is 14 to 18. The games are held every four years in staggered summer and winter events consistent with the current senior lever Olympic Games format. The first summer version was held in Singapore from 14 to 26 August 2010 while first winter version was held in Innsbruck, Austria from 13 to 22 January 2012. India had won just two medals, silver and bronze in the last Youth Olympics in 2014 held in Nanjing, China. India's best performance at this games came in the inaugural edition in 2010 when it had won six silver and two bronze medals. In this edition of games (Buenos Aires YOG 2018), India is being represented by 47 athletes, its biggest ever contingent. Q. Who has became India's first Judo medallist at the Olympic level after winning silver medal at the ongoing Youth Olympics Games in Buenos Aires, capital of Argentina?